Regular visitors to this corner of the blogosphere (can spheres have corners?) may have gained the impression that the resident writer isn't a huge fan of credit card companies. Well, to some extent that's true. Too many of them seem to bury "gotcha" clauses in their agreements, and become almost viciously predatory the moment a customer gets into trouble. But none of that prevents a recognition of the enormous benefits that credit cards themselves can bring, especially to those who are responsible and self-disciplined. So let's explore and celebrate some of the unique qualities of these cards, and especially those that are usually unavailable to debit card users. You don't have to pay for disputed items on your credit card account until the matter's resolved. But once you've paid for something on your debit card, your money's gone. That gives you much less leverage with suppliers of shoddy, mis-described or defective goods. If someone steals your debit card and PIN, you could be liable for all their spending. And you may have to pay up to $500 if your debit card goes missing but you fail to report its loss or theft within two working days. Credit cards generally better limit your exposure. Many credit card companies refund the difference if you find exactly the same item you've recently bought being offered cheaper elsewhere. It's unlikely that your debit card issuer would do the same. Credit card use often carries lower fees than those for debit cards. It's worth comparing your bank's fee structure with your credit card companies' to see which is offering the best deal. Many credit cards offer genuinely valuable perks such as roadside assistance, car rental loss/damage cover, trip cancellation/interruption insurance, extended warranties, lost luggage cover and so on. Responsible credit card use is one of the fastest ways to improve your credit score, which is likely to give you access to lower rates for big purchases, including mortgages and auto loans. With a debit card, you're spending your own money from day one. 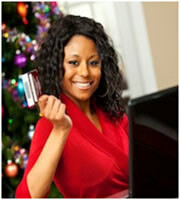 With a credit card, you could get to use the issuer's money for free for up to 45 days. And, of course, you can spread payments over a long period, if necessary. Which card might suit you? Picking a card involves matching your lifestyle and spending habits with the most suitable product. 0 Responses to "Seven reasons why credit cards are better than debit cards"